Congratulations! You have been searching for the perfect Indianapolis, IN home, you found it, AND your offer was accepted by the homeowners. It feels great to have your offer accepted, but, it is just the beginning. There is still a lot more to be done before you’re over the front threshold. Here is a rundown of what happens next. Apply for a loan. Unless you are paying in cash, you’ll need to apply for a mortgage loan. Good for you if you are already pre-approved, now is the time to inform your lender so they can finalize the application. 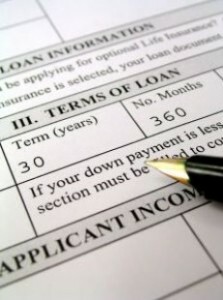 If you aren’t pre-approved, meet with several lenders to compare their loan options. Appraisal and inspection. The next step is getting your home appraised and inspected. The lender provides the appraisal which in turn gives a detailed report on the value of the home. If the appraised value is less than the purchase price you will need to further negotiate on the home price or make a greater down payment. The home inspection is ordered by you and lets you know of any issues with the home. It isn’t required but you should absolutely get one, even if you are not getting a loan. Go over the report in detail to make sure you are aware of any problems and the severity. If needed, your attorney and Indianapolis, IN real estate agent will help you negotiate further, should you find major issues with the home. Get your funds ready. Make sure the funds needed for closing and any reserves are accessible. If you need to pull from an investment do so right away and keep the paperwork for the transaction. Find homeowners insurance. You will likely need to pay for your homeowners insurance upfront, before closing. Shop around at different companies for the best rate – make sure you check with your auto insurance provider as they may offer discounts. Final walk-through. You will be allowed to do a final walk-through of the new home 48 hours before closing. This final walk-through allows you to check the final condition of the home to ensure there were no changes since you signed the contract. Be sure to check thoroughly as any issues are yours after closing. Closing. The closing date is the day you sign the mortgage documents and officially gain ownership of the property. Check with your lender as to what documents/IDs you will need and how they would like the down payment, generally its in the form of a cashier’s check. When you are ready to buy a home in Indianapolis, IN look to experienced Indianapolis, IN real estate agents. We are committed to providing you with the highest quality buyer service. When making the type of investment that buying a home requires, you deserve to have all the latest market information and the very best advice, both of which we can provide you with. We hope to speak with you soon!